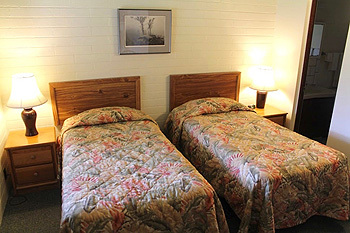 Dolphin Bay Hotel offers eight types of units, each with a fully equipped kitchen, a bath with shower, cable color TV and ceiling fans. 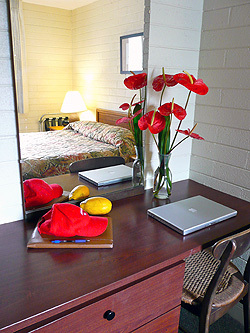 The Standard Studio rooms have two twin beds, or one queen bed, full kitchen and standard tub with shower and can sleep one or two persons. 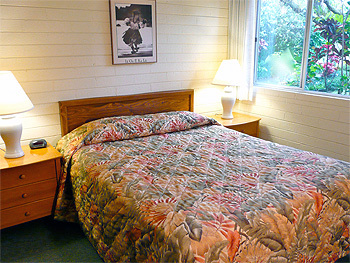 The Standard Deluxe Studio have one queen bed, full kitchen and large tub with shower, and can sleep one or two persons. 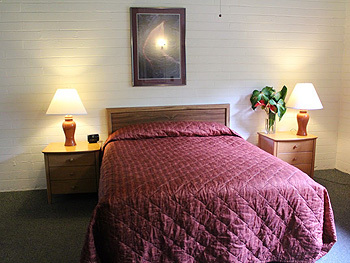 The Superior Studio Queen rooms have one queen bed, full kitchen and large tub with shower, and can sleep one or two persons, three with a rollaway bed. 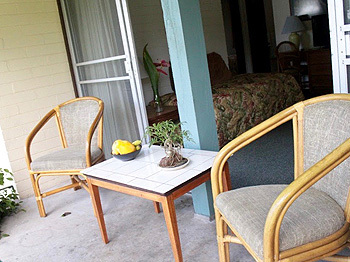 The Superior Studio Queen/Twin rooms have a queen and twin bed, full kitchen and large tub with shower, and can sleep two or three persons, four with a rollaway bed. 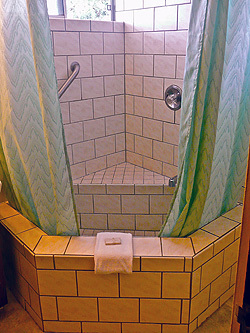 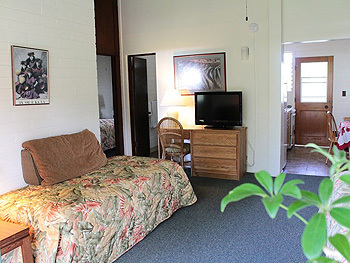 The Superior Studio Deluxe Queen/Twin rooms have a queen and twin bed, full kitchen and large tub with shower, LANAI, and sleep two or three persons, four with a rollaway bed. 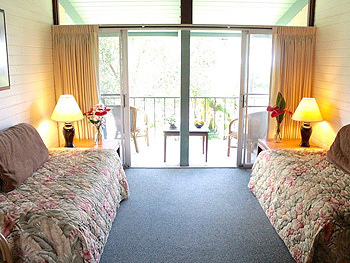 The Superior Studio Deluxe Queen rooms have a queen bed, full kitchen and large tub with shower, LANAI, and can sleep one or two persons. 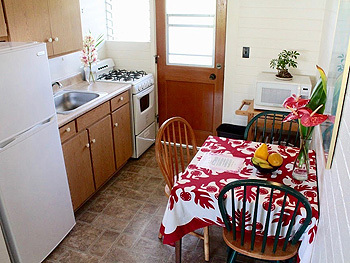 The One Bedroom Apartments have a queen and twin bed in the bedroom, two twin beds in the living room, full kitchen and large tub with shower, LANAI, and can sleep up to five persons, six with rollaway bed. 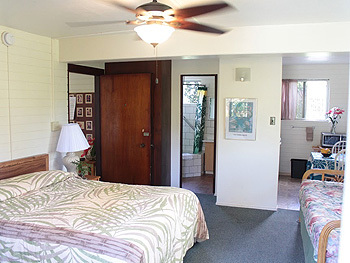 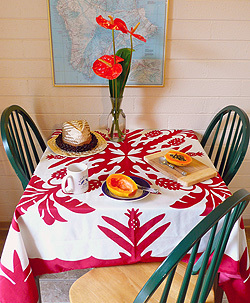 Our Two Bedroom Apartment has a queen and twin bed in one bedroom, queen bed in second bedroom, two twin beds in the living room, large tub with shower, LANAI, full kitchen, and can sleep up to seven, eight with a rollaway bed.